Microsoft will offer upgrade versions, so snap up a full version quick! The Windows 7 release date is fast approaching, you'll be able to get hold of your copy on 22 October. But you can save money by buying it earlier - read on to find out how. This time last month, Microsoft was still saying UK buyers would get Windows 7 E - a version of Windows 7 without a browser to avoid censure by the European Commission. 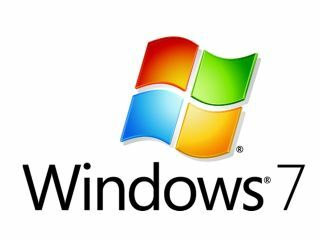 But Microsoft has now changed its mind and will ship the same versions of Windows 7 that it will across the rest of the world. Once you have installed Windows 7 you will then be able to choose which browser you want. Microsoft has yet to clarify its European Windows 7 upgrade strategy apart from saying it will offer Full Packaged Product (FPP) upgrade editions of the OS in due course. However, we don't need to worry too much about that - because of its mess-up with Windows 7 E, Microsoft is currently offering full versions of Windows 7 in the UK for the price it was going to offer the upgrade versions. This will change on 1 September, when Windows 7 Upgrade versions will be available alongside the full product version and things will get more expensive. So before the end of August, there's little reason not to go out and buy a copy now; we're currently being charged around half the price for a full copy of Windows 7 Home Premium as our American counterparts.